Chiropractor Tamworth NSW - Chiropractic clinic & massage therapy for back pain, migraines, headaches, posture problems. Jim Wilson, Tamworth Chiro Clinic. Jim was a latecomer to the benefits of chiropractic, experiencing it as a patient for the first time in his mid-20s. After working for several years in finance and stockbroking he made a dramatic career change and started studying science at University of NSW in conjunction with chiropractic at Macquarie University. 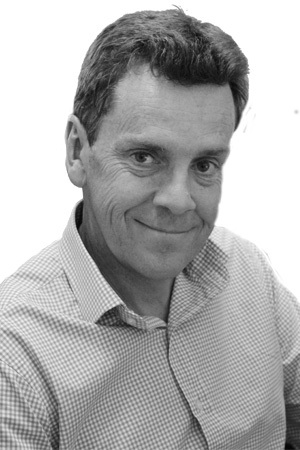 Jim graduated from Macquarie University in 1997, moved to Tamworth to practice at what was the Welsh Chiropractic Clinic in 1998, and has been there ever since. Taking over the clinic in 2001 and changing the name to the Tamworth Chiropractic Centre, Jim has been the principal chiropractor in the longest-established chiropractic clinic in north-west NSW for the last 14 years. Jim is proficient in numerous chiropractic techniques such as diversified technique, activator and Thompson Technique as well as acupuncture. He provides treatment for patients that range from babies to the elderly, and from ‘weekend warriors’ to elite athletes. Jim is a member of the Chiropractors Association of Australia. Unfortunately, at the current time we have no massage therapist at the clinic so we can’t offer massage. However we are on the lookout for a massage therapist to take over the business left by Jane, who had to retire. Every week we get up to ten phone calls from people looking for a massage. Add that to chiropractic patients looking for a massage after their adjustment and there is a business opportunity waiting for the right person. The room is ready and waiting, with massage table and desk already there. If you or someone you know is looking to transfer their existing massage business or just starting out, give us a call. Tamworth Chiropractic Centre © 2019. All Rights Reserved. Website by RAM Marketing - web, design & marketing.